The student tri-chairs of the 2018 Alumni of Color Conference speak about their goals for the event, the various experiences it represents, and how youth play a vital role in shaping the conversation. This week, HGSE will host the Alumni of Color of Conference (AOCC), an annual, three-day event that this year revolves around the theme, “Radicalize, Reimagine, and Reconstruct.” Keynote speakers, panelists, and participants will consider new ways to tackle societal issues and for community to take action. 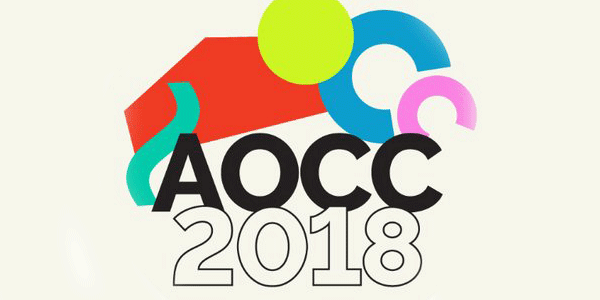 AOCC student organizers are led by tri-chairs Tony Delarosa, master's candidate in arts in education; Ph.D. candidate Avriel Epps; and Jennifer Kuang, master's candidate in international education policy. Ahead of the conference, they spoke about their goals for the event, the various experiences it represents, and how youth play a vital role in shaping the conversation. What about this year’s conference are you most looking forward to? Epps: I’m personally most excited about the intersectional focus of AOCC this year compared to previous years. There are a lot of panels highlighting the experiences of people of color with disabilities, people of color in the queer community, intersectional identities across different racial groups and gender identity groups. We explicitly tried to incorporate a bit of feedback that we knew previous years’ [tri-chairs] had gotten, to be a little more intersectional in our approach, and I think we were successful in expanding our definitions of “people of color” to be much more inclusive. Similarly, while there is no perfect golden ratio for the amount of people from any particular identity group represented at the conference, I think we’ve been able to draw on a huge diversity of voices across racial and ethnic groups. I’m really excited about Adrienne Keene to be a keynote speaker this year to talk about her experiences of being an indigenous student at HGSE, and the way she’s found community with indigenous folks online. I am also excited for that same panel to include Justino Mora of Undocumedia, who will talk about the experiences of undocumented people of color. We have representation across Asian American, and Pacific Islanders both in our programming but also in our steering committee; and then as in previous years, substantial-representation across the African and African American Diaspora, and LatinX communities. Can you talk about this year’s theme: Radicalize, Reimagine, and Reconstruct? Epps: One of the three major themes in the conference is “Reimagine,” and Tony, Jen, and I are all artists — Jen and I are musicians and he’s a spoken word artist — and so we all know the importance of artists and their role in helping us to reimagine a more just and more equitable society. So for us, you can’t have conversations about radical imagination without including artists, as they are the ones who articulate that vision both visually and sonically. Kuang: We tried to be very intentional about composing our keynote speakers and panelists, with folks who embody this year’s theme, “Radicalize, Reimagine, and Reconstruct.” With our keynotes in particular, our team did a great job of spotlighting artists, making sure that we are raising those voices and showcasing art as a means of this type of work. Epps: The entire structure of the conference is set up as a guide for an internal journey we hope that the participants will embark on. The first level of sessions will be around this idea of radicalization and wrapping our heads around the issues we are all facing, agreeing on the things we want to tackle, and having a shared vocabulary and understanding around these issues. From there, going into reimagine and collectively visualizing the goal we’re all working towards. And then reconstruction, on the last day, is making sure people walk away with tangible tools and action steps that they can take once they leave the conference. Hopefully before they leave the conference, they will have the constructive conversations they need with others in attendance for coalitions to start building while we’re here. In short, we’re hoping people leave more knowledgeable, more empowered, and more clear on what it is they’re going to do once they’re out in the world. How important was it to include youth voices in this year's conference, and how might young people gain greater agency in their communities and schools from AOCC? Kuang: This is the first year the conference is going to be fully integrated, whereas in the past there have been two parallel conferences where youth and adults are each by themselves. This year, youth and adults are free to go to whatever sessions they want to and we are encouraging youth to bring their own perspectives, their own voices in the sessions that are led by adults. I think this is going to be a great experience for everyone involved because we can’t make these decisions about issues impacting our students of color without them. Delarosa: One of the major highlights has been including our first Inaugural Youth Fellowship for AOCC. I participated personally in the last two AOCCs as a youth speaker with youth leaders in our sessions, and through that lens we wanted to see more of that happening. What better way than to bring on two youth on our team to pilot this year and see what it would feel like long term. Youth are ready to [speak] and critique and be a part of that entire dialogue to shape the entire conference, to make sure it’s rooted in youth voice, because what are we doing at HGSE, if we are not doing it to co-empower the very students we serve at the end of the day? For the youth fellowships, we put out an application to Boston youth in particular, one to make sure we could have youth logistically come to and from campus, and we wanted at least one fellow that has participated in the conference before. This year our two fellows are Ny’Lasia Brown, from Boston Pulse, my youth spoken word organization that I founded here in Boston, and Carolina Schott, a Boston Arts Academy student. We’re starting off with two, but hopefully this is a pipeline for students of color to get earlier access to opportunities like AOCC, so they can be exposed and encourage their friends to apply to the fellowship. Amanda Gorman is going to be our first Youth Empowerment Award Recipient this year. That’s a new award that we haven’t had before and she is an amazing youth from Harvard College, a national youth poet laureate, and a spoken word artist. Also, we have 220-plus youth coming in from schools and organizations around Boston and outside. Some of the panels are going to be led by youth — alone and also with their mentors. So, there is going to be a lot of collaboration between youth and adults, making sure that equity is seen between both groups a way of reconstructing power dynamics. [As we’ve seen] with the gun violence protests, youth are an untapped resource, and want to speak up more and more. They are hungry to be a part of the entire dialogue. What is your hope that attendees will gain from the 2018 AOCC? Kuang: As Avriel mentioned before, our hope is that attendees will come away from two and a half days of intensive workshops, conversations, and collective processing about how we as educators can radicalize, reimagine, and reconstruct the world as it currently is. I think this will be a truly inspiring and uplifting weekend, and we hope attendees leave with a stronger sense of agency, new tools, and new partnerships to continue this important work. The 2018 Alumni of Color Conference will be held at HGSE Thursday, March 1 – Saturday, March 3. Learn more.